McBride to hear his fate before end February - SABC News - Breaking news, special reports, world, business, sport coverage of all South African current events. Africa's news leader. 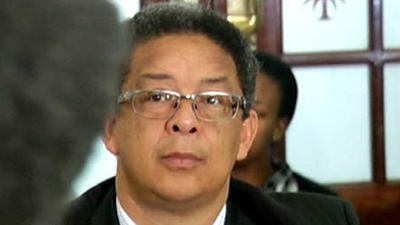 Independent Police Investigative Directorate (IPID) head, Robert McBride will hear before the end of this month whether the Parliamentary Portfolio Committee on Police will renew his contract. McBride’s contract expires on the 28th of February and Police Minister, Bheki Cele, earlier indicated he will not recommend to the committee that McBride’s contract be renewed. According to the court order, the committee must inform the court by 22 February on its progress. McBride says the court case is about ensuring IPID independence from political interference. “The issue is not about my employment position that is a constitutional matter, it’s about ensuring the independence of IPID and that their independence is not tramples upon. I don’t have any entitlement to any job but I do have entitlement to proper processes and so too, to the people of South Africa,” says McBride. This entry was posted on 12 Feb 2019,04:51PM at 4:51 PM and is filed under Politics. You can follow any responses to this entry through the RSS 2.0 feed. Both comments and pings are currently closed.